Historic Denver is participating in a 17-member steering committee for the Loretto Heights Area Plan, a community-driven public process initiated by the City of Denver’s Department of Community Planning and Development. The plan covers the area between Lowell on the west, Decatur on the east, Yale on the north, and Floyd on the south. The steering committee consists of representatives from City Council, the surrounding neighborhoods, alumni from the college, Sisters of Loretto, Catholic Charities, RTD, Denver Public Schools, the City of Sheridan, and Westside Investment Partners Inc. – the ownership group. There have been a few steering committee meetings held since last October, and a separate track of community meetings that began in January. 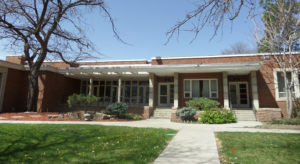 The next community meeting, titled “Preservation 101,” will be held on Tuesday, April 23, 2019, from 5:30-8 p.m. in the Loretto Heights Library (3001 S. Federal Blvd.). The City’s project team is now examining existing conditions through analysis to help shape/form the plan in the visualize stage, which will take about three months to complete. Then they will shift into the strategize stage, where ideas and recommendations start developing (~five months). From there, the plan is to transition to a realize phase where a draft plan is begun (~four months), internal city review, steering committee review, and public review/comment are all part of the process. The City has committed to a historical survey report done by an outside consultant to examine the existing resources on the campus and identify the key elements that define its character. The survey will inventory all historic resources and evaluate the eligibility potential for each, for either local or national designation. A draft report will made available to the steering committee on Jan. 14. Two exercises of note have occurred during the course of the steering committee meetings. The first was a SWOT analysis (strengths, weaknesses, opportunities, threats), and the second was a visualization exercise where images were chosen to represent optimum examples for Loretto’s future development. The importance of the existing fabric and the value for the incorporation of historic buildings into the new development were evident and prominent in the committee’s responses to both exercises. 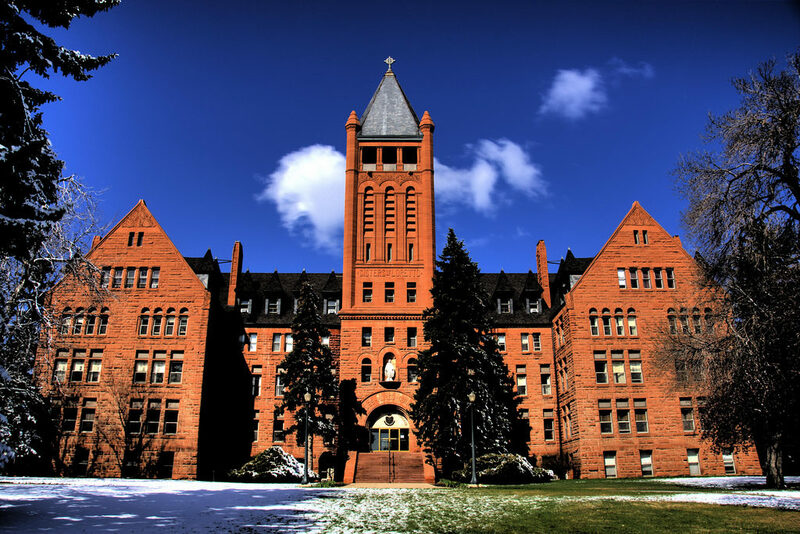 Historic Denver will continue to advocate for the incorporation of the existing and historically eligible buildings on campus into any new development plan. Significant buildings like the Administration Building and Chapel have already been universally advocated for re-use; however, other buildings on campus could also be re-imagined in a new development plan. 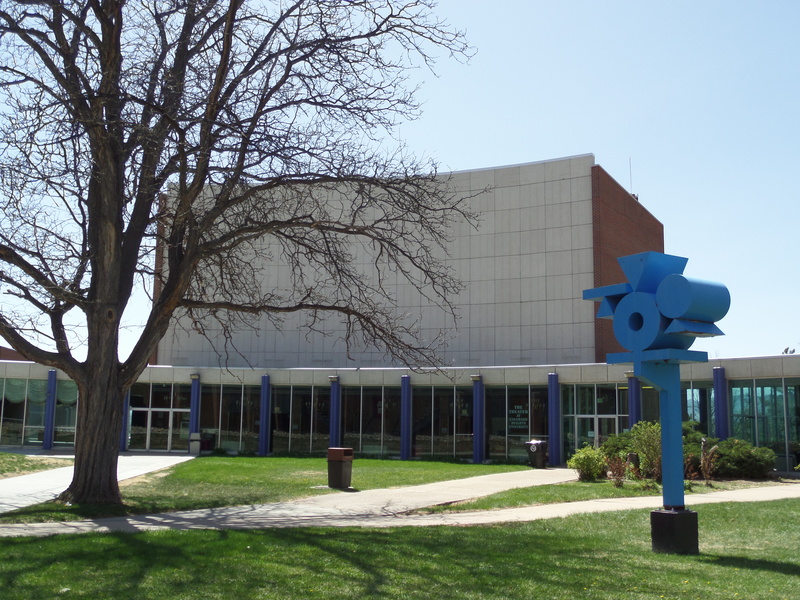 The May Bonfils Stanton Theater has additional advocates in the neighborhood, as well as Councilman Kevin Flynn, as it is the largest cultural theater asset in southwest Denver. The Library and Machebeuf Dining Hall have endless re-use possibilities. In the last steering committee meeting, the ownership group announced that another valuable campus asset, the Harry Edbrooke-designed Pancratia Hall, will be explored through a partnership for re-use as a residential development, and include affordable housing elements. This is a positive first step in the development potential of the historic core of the campus, even before the results of the steering committee have been compiled. Additional historic resources of note are the cemetery where many of the past Sisters of Loretto are buried, the Art Building, and the Priest’s House. Please stay tuned to our website and Facebook page for further updates. 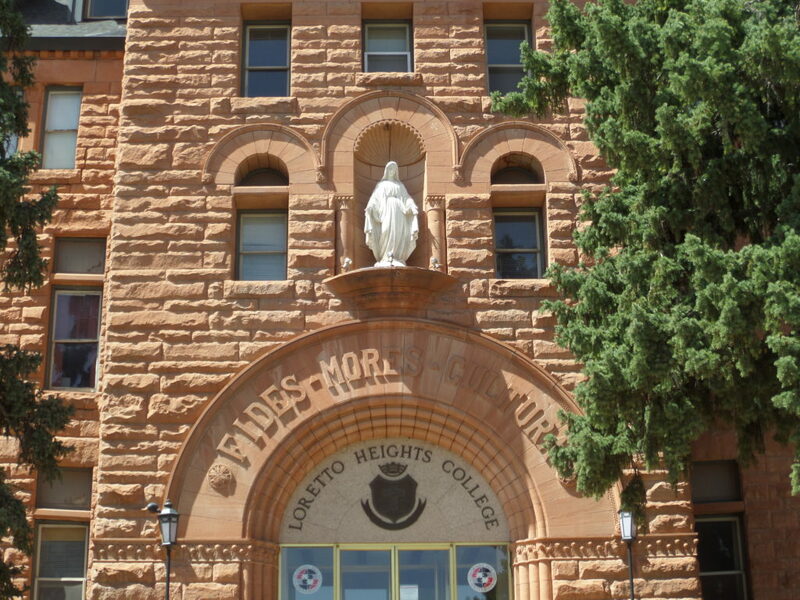 In the fall of 2016, Colorado Heights University announced that it would be closing its doors. Located on the historic Loretto Heights campus, CHU had occupied the site since 1989. On November 1, 2017 the current owner of the campus, the Teikyo Group, announced that the campus is under contract to master developer Catellus. As part of the sale contract Catellus is required to preserve the main, and iconic Administration Building and its adjacent chapel. Historic Denver has already met once with Catellus and will continue to work with them to identify viable uses for these buildings, as well as explore options for several other historically and architecturally significant structures on the campus in southwest Denver. 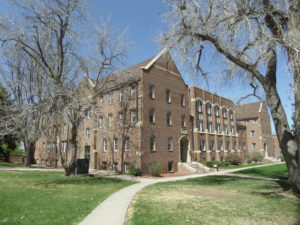 Historic Denver believes that the historic Loretto Heights campus presents a unique opportunity to build on a legacy stretching back over 120 years. The history of Loretto Heights is one that is intertwined with its surrounding community. We look forward to working with the new owner and the campus neighbors and hope to see campus buildings adaptively reused and ultimately designated. 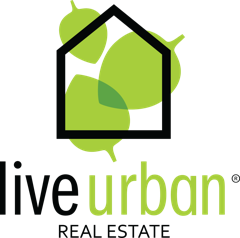 The quality of design and material of any new development on the campus will be paramount to a creating a successful project. Above all, honoring the history, architectural quality and view sheds of the campus is necessary to create an authentic, vibrant new life for this historic campus. The founding of Loretto Heights began in 1864 when Father J.P. Machebeuf was sent as a missionary to Colorado. He was accompanied by three Sisters of Loretto from the Kentucky Motherhouse. Upon their arrival to Colorado, they lived in a two story framed house on what is now 15th and California Street. This building would become St. Mary’s Academy of the Loretto Order, a boarding school for young girls in the Denver area, teaching them foreign language and refined skills. 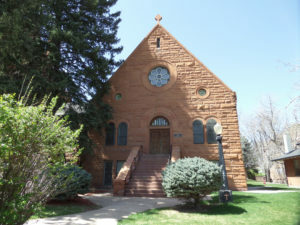 While enduring the hardships of the developing West, the Sisters of Loretto gained high esteem and attracted many daughters of Colorado pioneers to their academy. As number of pupils increased, the Sisters expanded, continuing their mission of education and tradition. Soon after, architects Frank Edbrooke was contracted to design the main academic building and construction began in 1890. By November 2, 1891 the Sisters and pupils were moving into the new building. Despite minor difficulties (lack of water and electricity, as they were so far from downtown), by 1892 all was under control and the Sisters settled in. The growth of Loretto Heights continued, with the Sisters developing a rich curriculum, until they were threatened with foreclosure in 1894 after the Panic of 1893. Thankfully, Mother Superior Praxades Carty was able to save the Academy from foreclosure and the Academy continued on. Through the many struggles the Academy faced they were able to overcome and adapt to the constantly changing times. When World War I erupted, the Sisters turned Loretto Heights Academy into a military training ground and held a National Service School. 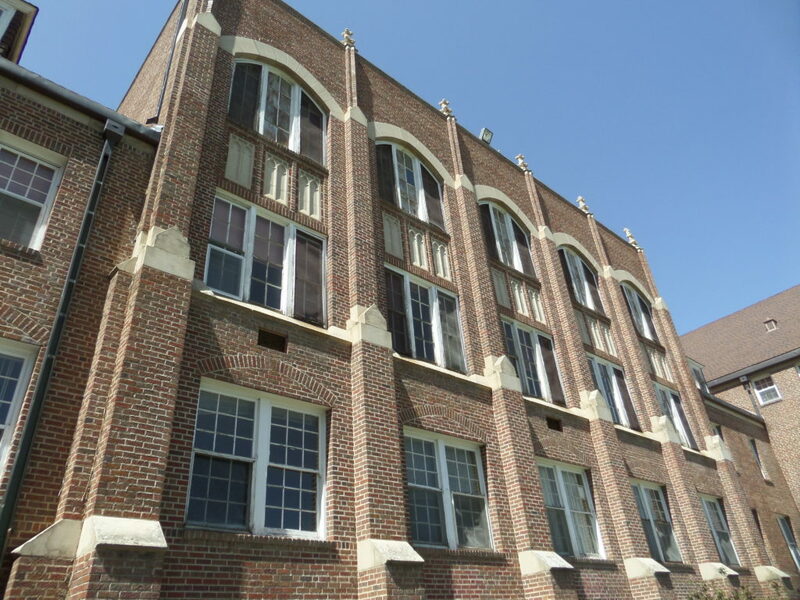 By 1926, Loretto Heights had gained its college accreditation and Mother Superior Eustachia Elder was organizing the separation of the college and high school. The Great Depression and World War II could not shake the deeply-rooted Loretto Heights College. Loretto Heights College contributed to the war effort and in 1945 created its joint collegiate nursing programs to meet the growing desire amongst women for economic independence in the post-war era. 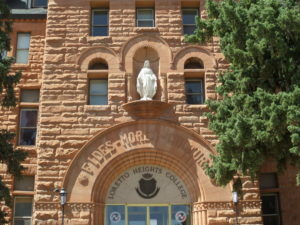 In the face of the social changes and events happening around them (from new technology, to the women’s movement for equality, the Civil Rights Movement and the Vietnam War) tradition and morals at Loretto Heights remained consistent, while they simultaneously worked to cope and adapt to societal changes. Loretto Heights College was the first school in the area to establish a Women Studies Research Center. In 1971, when they pioneered the University Without Walls program with 12 other colleges across the nation – a program designed to help adult learners earn bachelor degrees, with flexible schedules, skills learned through life experience counting as credit hours towards a degree, and more practical based courses. Although the Sisters lived a relatively austere life on the Plains, they sought out some of Denver’s best architects to design the buildings on the campus. The original 1890 Administration building and the attached 1911 Chapel were designed by Frank Edbrooke. In 1928, the Sisters commissioned Harry Edbrooke to design the first free standing dormitory, naming it Pancratia Hall after the founding mother. As the campus grew, new dorms were added, and in 1960 Denver architect John K Monroe designed the Machenbeuf Building, which was used as the Student Union and Cafeteria. Monroe was also responsible for designing the Lowenstein Theater on Colfax (now home to the Tattered Cover). In 1963, the campus added a dedicated library and theater, designed by G Meredith Musick. Musick was a well-known local architect who designed the First Baptist Church at 14th and Grant, the Bryant-Webster Elementary School, Fitzsimmons Army Hospital and Lowry Air Force Base. These buildings all remain today, along with other vestiges of academy life, including a swimming pool and caretaker’s house. In 1988, Loretto Heights shut its doors, but three of its degree programs live on at Regis University. In its place, a new institution, Teikyo Loretto Heights University emerged, which catered to international students looking to complete a degree program or learn English in an immersive environment. To date, the university has served students from over 55 countries. 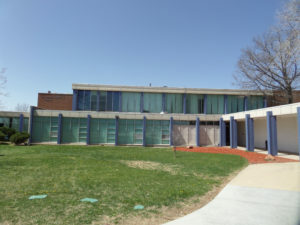 In 2012 Denver Public Schools began leasing 6 acres of the historic campus to house the Denver School of Science and Technology: College View campus on the southern end of the campus. In the spring of 2017, DPS bought this land outright, and has plans to construct a cafeteria and additional parking lot on the site. 1888 – The Sisters of Loretto decide to open a liberal arts boarding school for young girls. 1890 – Commissioned Frank Edbrooke to design main tower, situated on the highest point of over 40 acres owned by the Sisters. Frank was born in Lake County, Il and along with his brothers, learned architecture from his father, Robert J. Edbrooke. Frank came to Denver in 1879 to supervise construction on the city’s first iconic building, the Tabor Block and Opera House, designed by his brother, Willoughby. He stayed in Denver and became the town’s most notable and successful architect. He designed the Navarre (1880), Oxford Hotel (1890), Brown Palace Hotel (1892), Denver Dry (1894) and the old Colorado State Museum (1915). 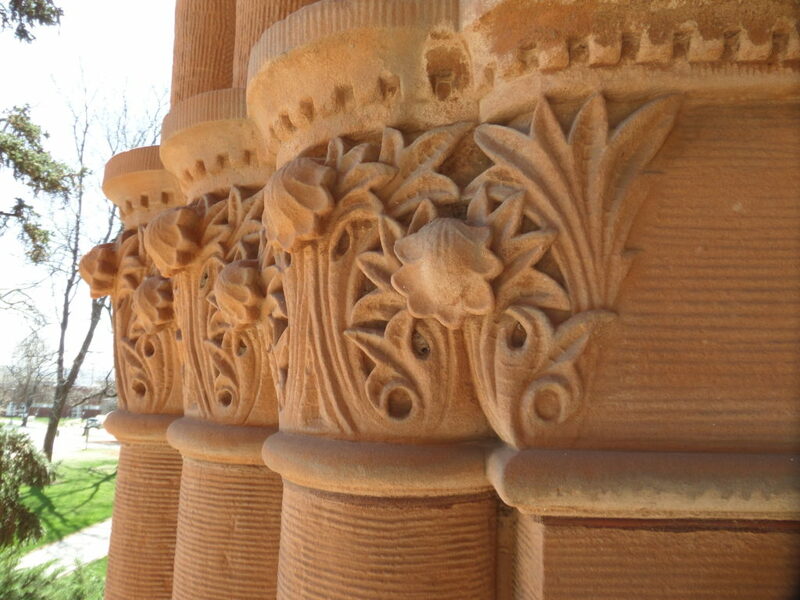 He often used native red sandstone, brick, and terra cotta to create massive, but graceful structures. The Main Building was built in 1890, designed by Frank Edbrooke. It was listed on National Register in 1975. The Chapel at Loretto Heights was built in 1911, designed by Frank Edbrooke. It was included in the 1975 National Register listing for the Main Building. Harry Edbrooke was the nephew and apprentice of Frank Edbrooke, son of Willoughby Edbrooke. He too was born in Chicago, moving to Denver in 1908. he practiced with his uncle until Frank retired in 1915, at which time he opened his own practice. In Denver he designed the First National Bank (1910), the Gas & Electric Building (1910), the Kistler Building (1916), the Ogden Theater, the A.T. Lewis Dry Good Store (1917), the Fifth Church of Christ Scientist, and Valverde School (1923). Born in Denver, Monroe worked as a senior assistant to noted Denver architect J.J. Benedict before opening his own practice in 1932. Like Benedict, Monroe often worked with the Catholic Archdiocese and became its chief architect at mid-century, designing dozens of Denver churches including Holy Ghost and Good Shepard. He developed a close relationship with Helen Bonfils, so in addition to churches and ecclesiastical buildings he also designed the Bonfils Memorial Theater, later the Lowenstein complex. He relationship with the Bonfils, and also the Archdiocese, likely brought him to Loretto Heights. The Machebeuf Building is an unusual Monroe design because it varies from the signature blond brick with cream terra cotta detail found in many of his other designs. It was designed in the year following the creation of a partnership between Monroe and two former assistants, Robert Dunham and Robert Irwin, as Monroe was nearing retirement. George Musick designed a wide variety of commercial and institutional buildings during his 55 years as a Denver architect. He is best known for his Colonial Revival style First Baptist Church (1938), Bryant Webster Elementary School (1930) and what is now the Champa Commons at 1245 Champa. He designed the now demolished Republic Building and Shirley-Savoy Hotel Annex. He worked for a time for Frank Edbrooke, and later Jacques Benedict and Harry Manning. George (called Mark) partnered with his brother, James Roger Musick, on many projects. His sons also joined his firm in his later years.